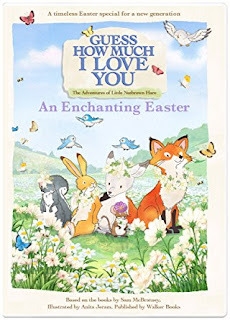 Guess How Much I Love You An Enchanted Easter and Floogals Project Egg Hunt make the perfect Easter basket additions from NCircle! 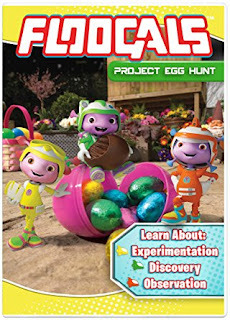 With Easter approaching quite quickly I've been thinking about fun things to add to my kid's Easter baskets and I have to say DVDs always make great additions. I love that these titles are Easter themed so after my kiddos discover everything in their Easter baskets and eat way too much candy we can all cuddle up on the couch and watch a couple of super fun DVDs. Both DVDs are ridiculously cute and are sure to be a hit with kids. 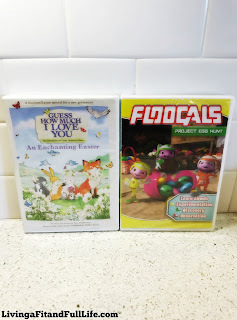 Guess How Much I Love You An Enchanted Easter and Floogals Project Egg Hunt are perfect for Easter baskets and are a great way to spend some quality time together!